It has been a while since I entered the AVForums monthly photo competition, April in fact. The theme this month is “Red” and while I was hanging out my washing this morning I noticed that a tree in my garden is filled with lots of red berries. I thought these would make a good subject and grabbed my new 50D and Sigma 50mm f/1.4 and snapped away. 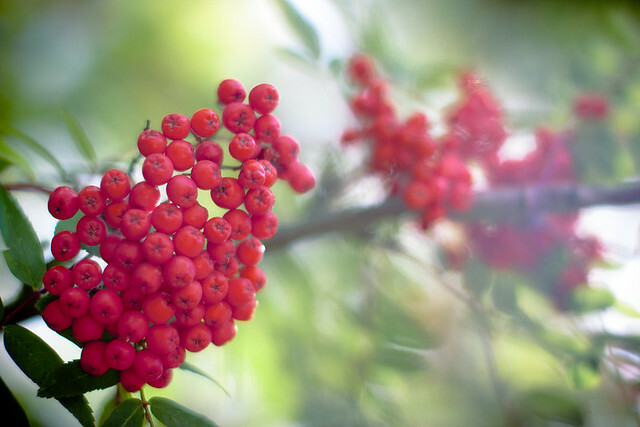 I wanted to take a dreamy sort of shot with some of the berries in focus with most out of focus. The sun was shining strongly directly above berries and I wanted to capture this light too. I think I’ve been successful and the photo below is my entry. I am not sure how many votes I will get, but I will find out at the end of the month when voting starts.